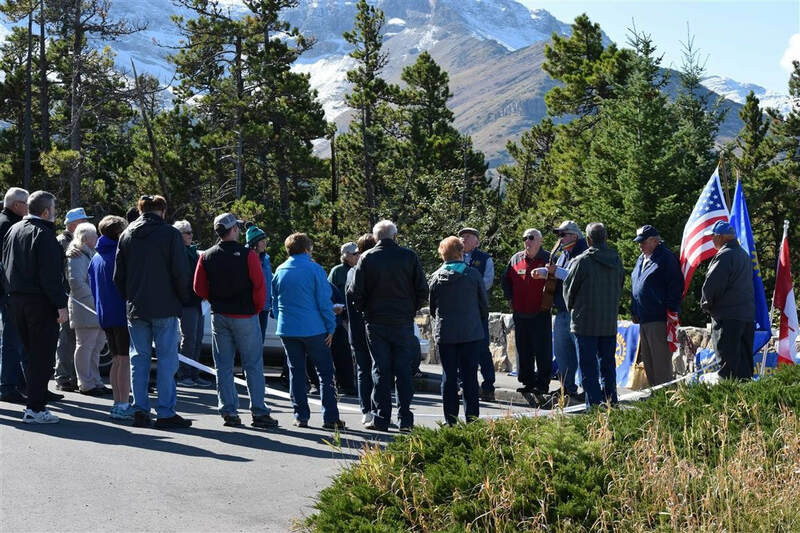 29 Rotarians from Canada and the United States gathered Sunday, September 24, 2017 at the Chief Mountain Overlook above Waterton National Park and continued the 85 year old tradition of Hands Across the Border by shaking hands and pledging peace between nations. 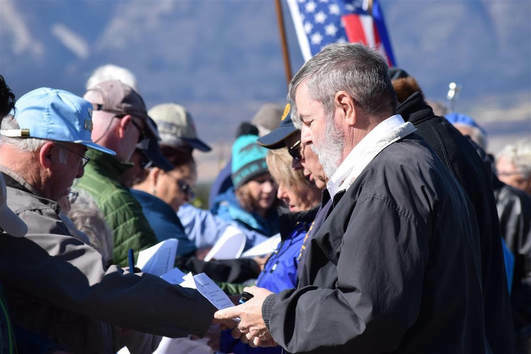 The ceremony took place in spite of a wildfire which forced that cancellation of the annual Peace Park Assembly. District Governors Rick Istead (5360, Alberta) and Joe McBride (5390, Montana) welcomed the group. Norman McCarvell, a past District Governor from District 5380 (British Columbia, Idaho, Washington) also addressed the gathering. Waterton Lakes National Park Superintendent Ifan Thomas welcomed the Rotarian's, and briefed the crowd on the wildfire while they could see columns of smoke and watched helicopters work on the fire. 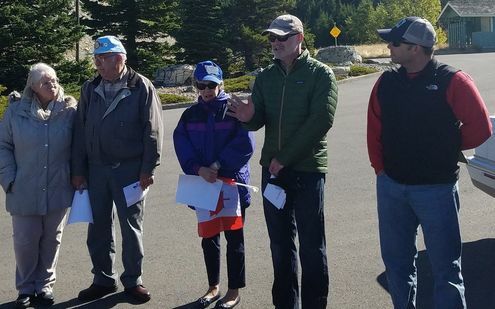 Superintendent Thomas expressed his gratitude for the assistance of a crew sent by Glacier National Park that is helping remove "hazard trees," burnt trees that pose a risk to visitors because of compromised roots. 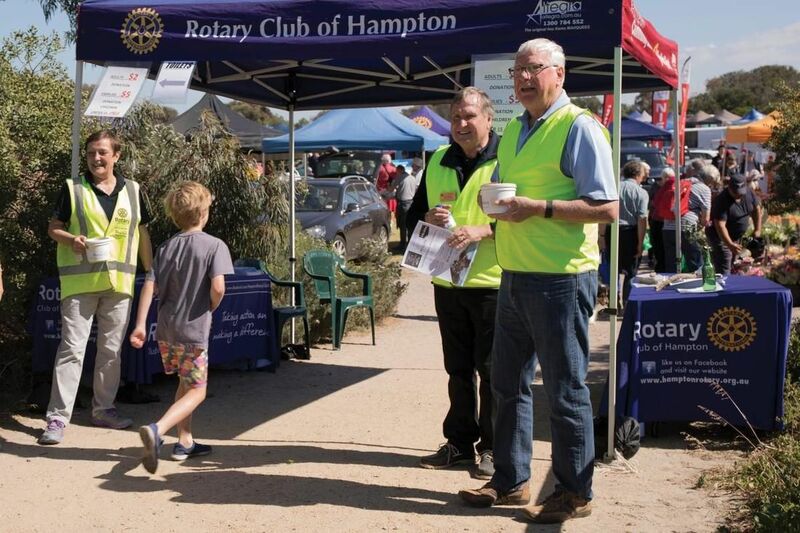 The Rotarian's sang both national anthems and recited the pledge to maintain peace between their nations as they shook hands. They vowed to meet again next year in Glacier National Park.